St. Lucia’s crown traditionally features lighted candles. 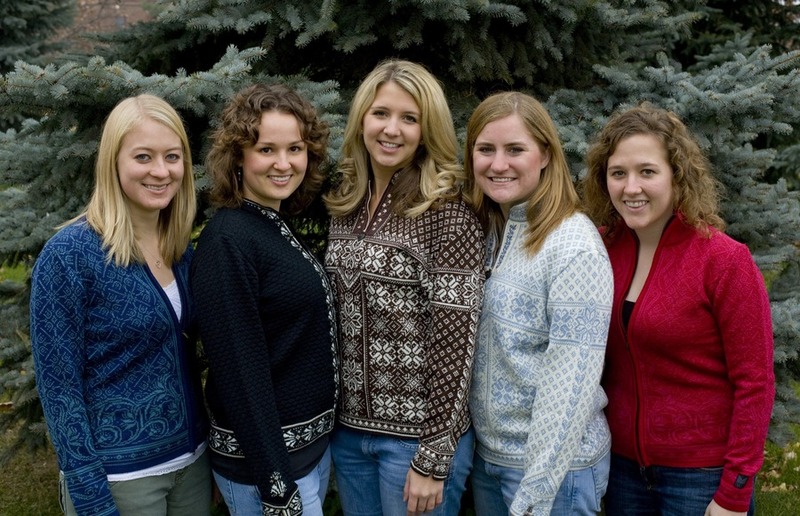 The five women are chosen based on academic achievement, spiritual leadership, and service to the College and others as part of a tradition that dates back to 1941. This annual celebration is intended to commemorate the courage shown by St. Lucia who, according to legend, was put to death for being Christian and helping the poor. On Dec. 13 in homes throughout Sweden, the eldest daughter plays the role of St. Lucia by preparing and serving baked goods and coffee to her family at sunrise while singing. 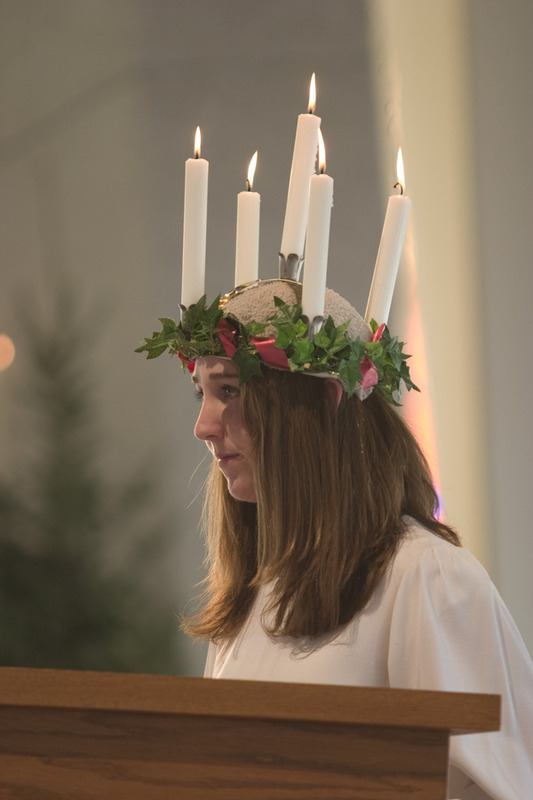 Wearing a crown of lighted candles, Lucia represents the return of light that will end the long winter nights and serves as a symbol of hope and peace for the Christmas season. The annual celebration at Gustavus features early morning caroling by St. Lucia and her court, a service to crown St. Lucia in Christ Chapel, and a traditional Swedish Smörgasbord featuring musician and 1987 alumnus Brian Wicklund. The public is invited to the free 10 a.m. Chapel service.